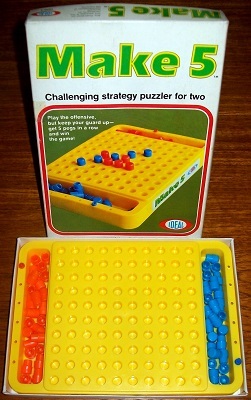 'MAKE 5' GAME: A challenging strategy puzzler for two. The object of the game is to be the first player to place five pegs in a row in any direction. The game is in good condition. The box shows only the most minor signs of storage wear and every corner is firmly intact. The game grid and pieces are in perfect condition.